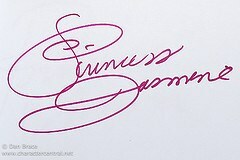 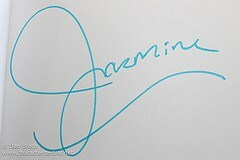 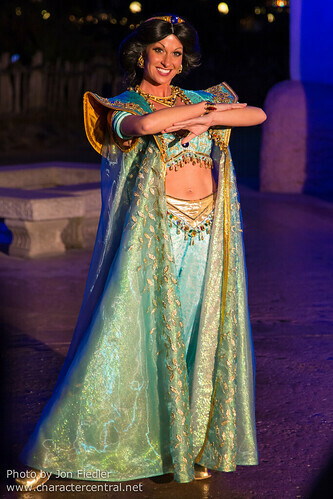 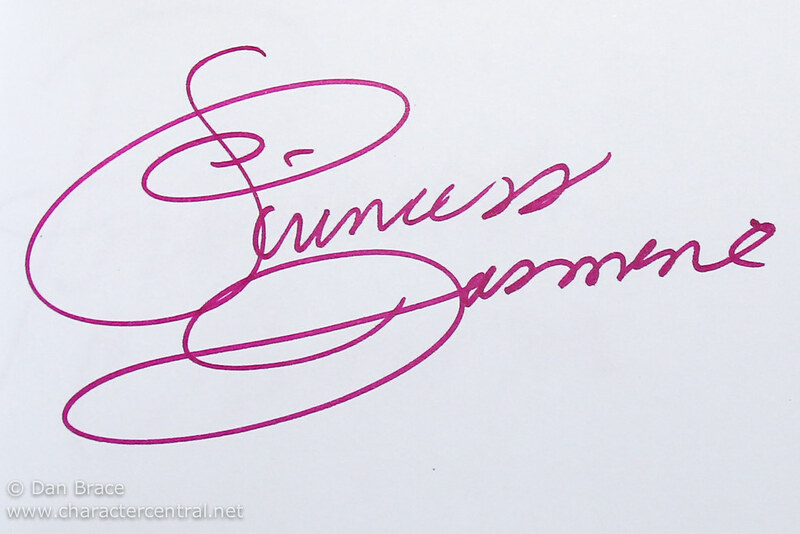 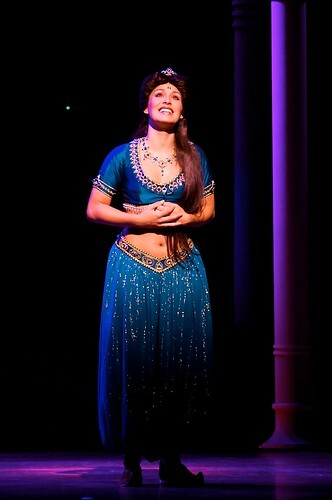 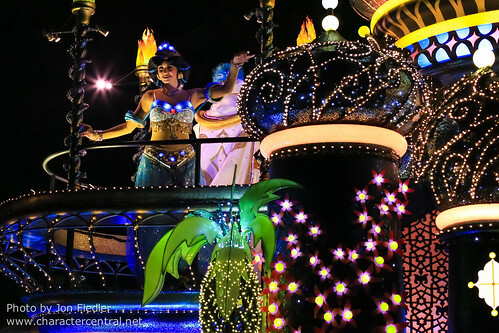 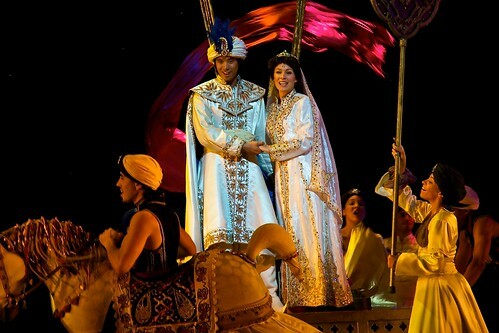 Jasmine is the young princess from the enchanted Arabian land of Agrabah. 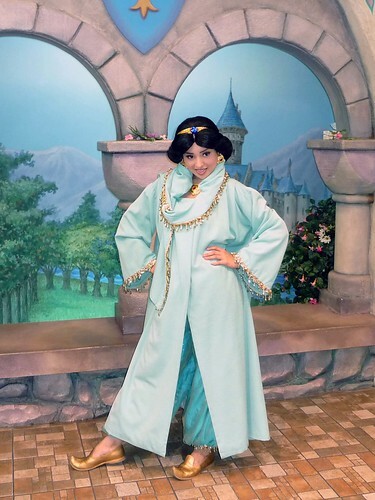 Assertive and independent, Jasmine is determined to avert all her father's attempts of marrying her off to any number of princes that come along. 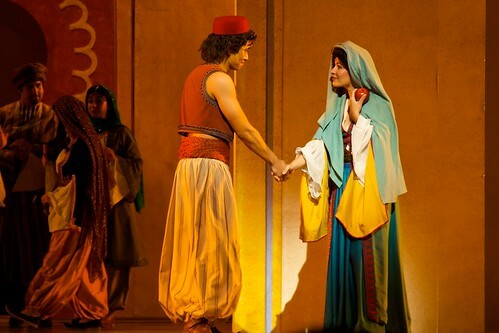 Just as the Sultan's aide, Jafar, tricks the old man into letting him marry Jasmine, a mysterious young prince named Ali appears. 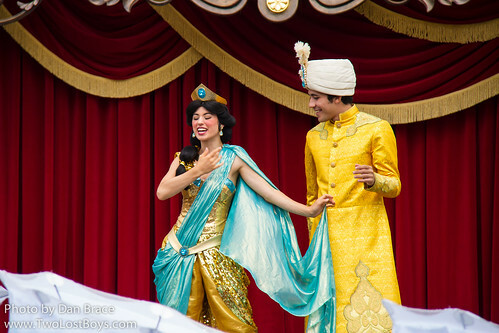 Full of confidence and followed by an enormous entourage, Ali is everything Jasmine doesn't want in a prince, but he whisks her off, and she sees something in him she can't quite place. 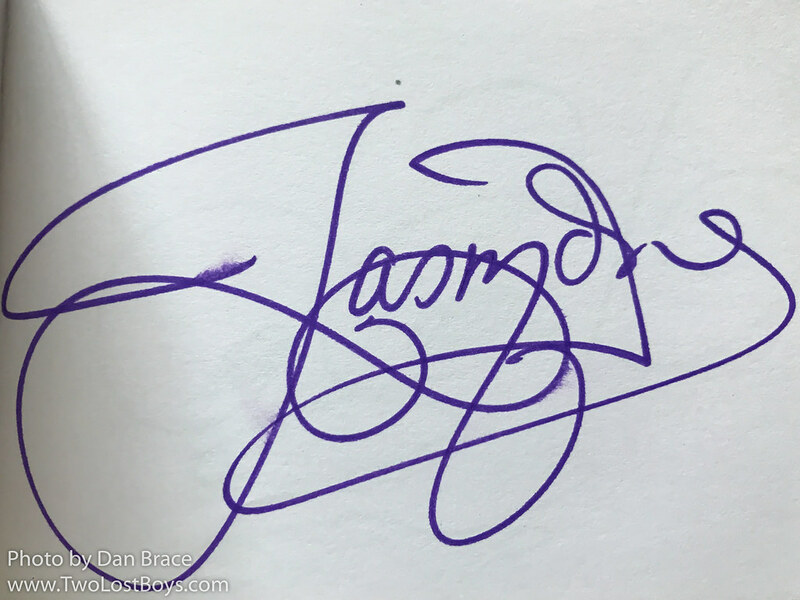 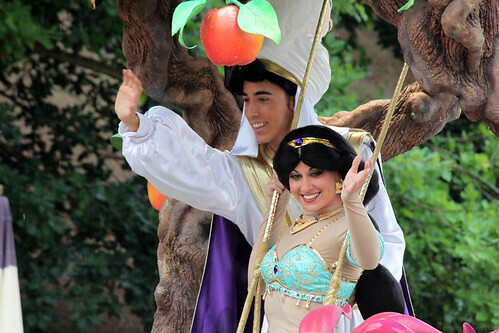 Despite discovering his lies, when Aladdin rescues them all from certain doom at the hands of the evil Jafar, Jasmine realises that it is him she truly loves. 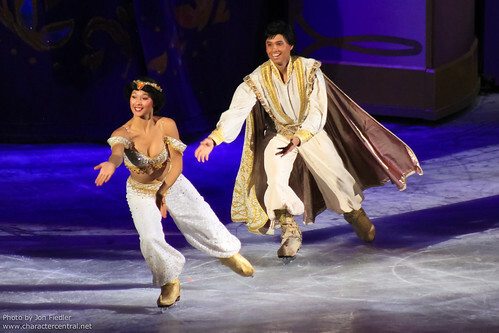 Jasmine and Aladdin now live at the palace with her father, while discovering more about life and the whole new world that awaits her with Aladdin outside the palace walls. 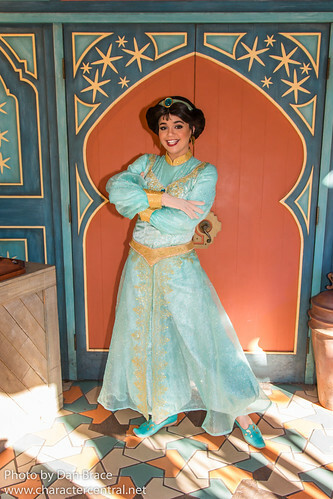 At the Walt Disney World Resort Jasmine can regularly be found meeting with Aladdin near the Magic Carpets in Adventureland. 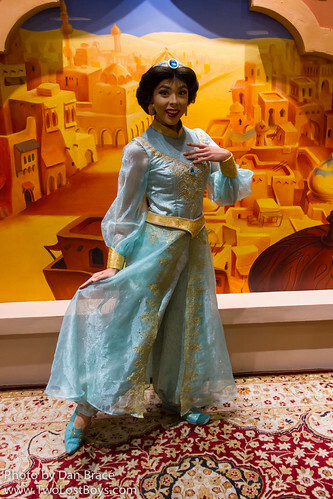 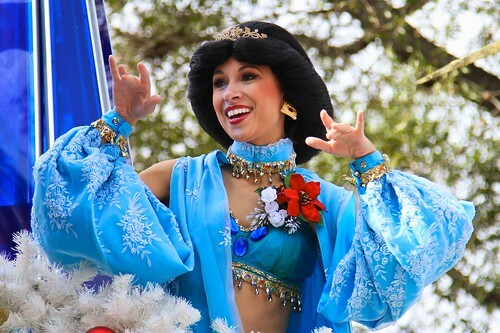 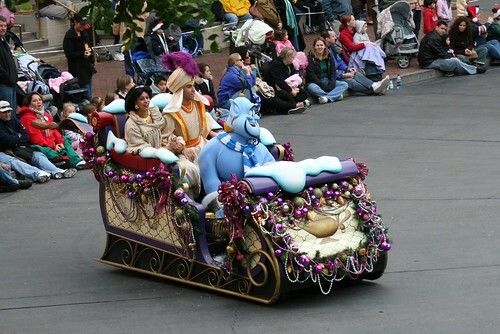 In EPCOT she can sometimes be found at the Akershus restaurant, and in Morocco. 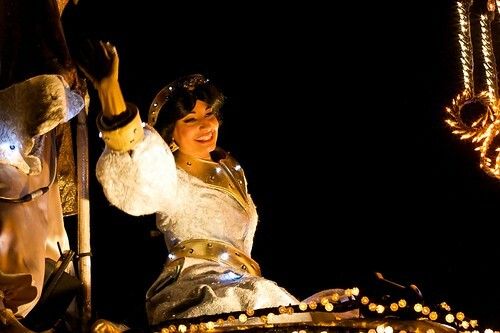 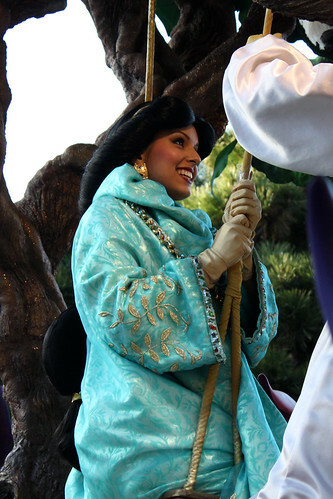 At Disneyland California she can sometimes be found at Royal Hall in Fantasyland. 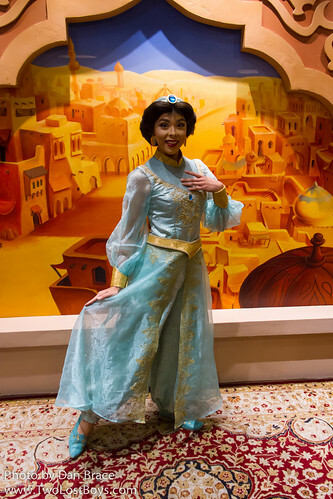 In Disneyland Paris Jasmine's appearances are random, but she can sometimes be found at the Bazaar area in Adventureland, at the Princess Pavilion in Fantasyland, or at the Studios. 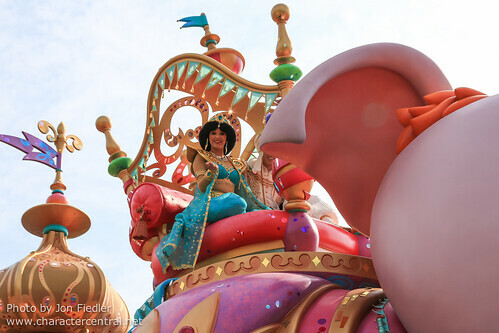 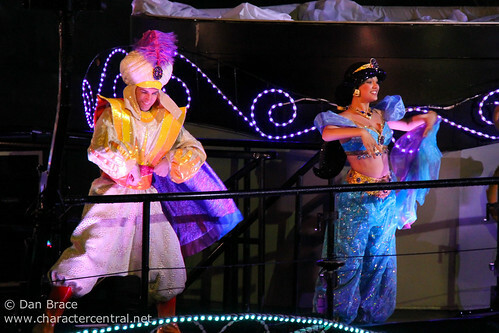 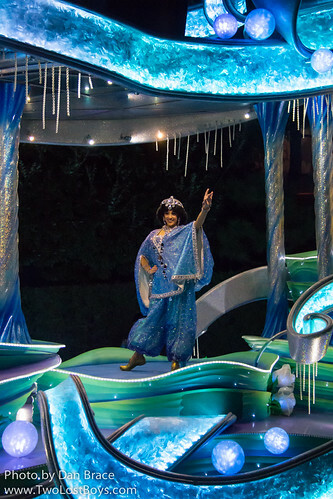 In Tokyo you can usually find her in Arabian Coast. 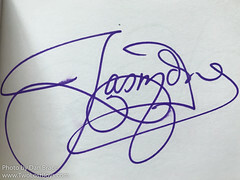 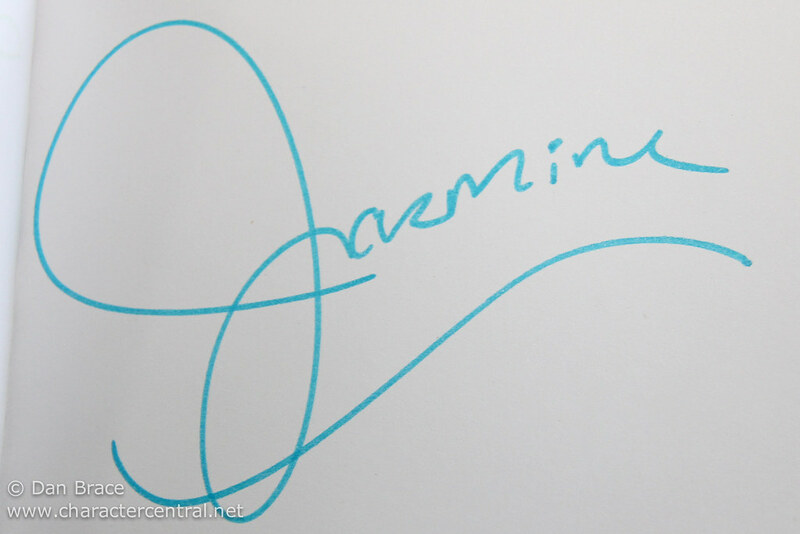 To our knowledge, Jasmine does not currently appear in Hong Kong or aboard the Cruise Line.